we are hiring RV Technicians & Mechanics!Apply here! Toyota Prius c is one of the newest additions to the Prius line. 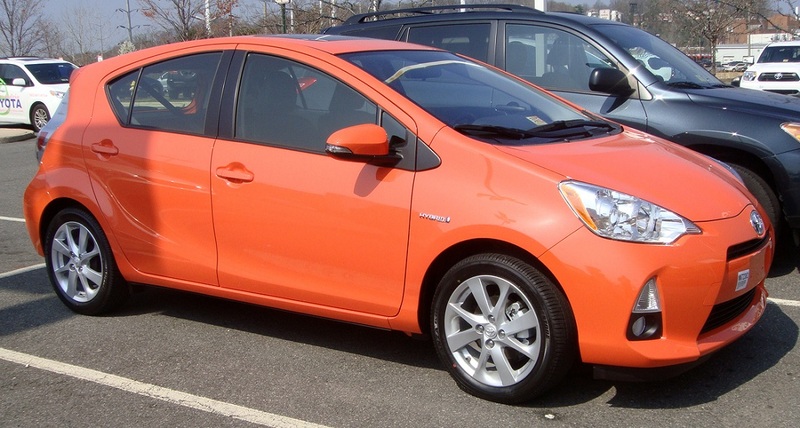 At Sturken Auto Repair, we are a premier San Jose Toyota Prius c service and repair shop. Whether your vehicle needs a minor oil service, or it faces major repairs, bring it to Sturken to experience auto repair done right. The Prius c, like all Prius vehicles, requires regular motor oil monitoring, as its engine tends to consume motor oil at a rate of 1 quart per 5000 miles, with some cars consuming considerably more. We have heard of Prius vehicles that consumed as much as 1 quart of oil per 1000 miles. Prius owners should check engine oil level frequently until they learn what is the rate of oil consumption of their vehicle. In addition to Prius engine service, we offer high voltage battery replacement, Prius transmission service, as well as advanced electrical and mechanical systems diagnostics. In addition to monitoring engine oil levels, owners need to pay attention to tire wear. Bay Area roads and heavy traffic take their toll on the tires. Prius regenerative braking adds to that wear, hence we recommend frequent tire rotations, as front tires tend to wear out faster than rear tires. Naturally, when you service your car with us, we check tire wear as well as tire pressure. Sturken Auto Repair is dedicated to your satisfaction. For your convenience you can set up appointment by phone, or online. So bring your Prius c to us and experience auto repair done right.